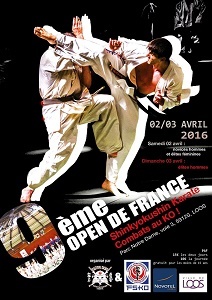 The 9th edition of the Shinkyokushin French Open will be held 2nd and 3rd April 2016. The French Open have been a strong tournament for last two years, and besides good fighters from central and north Europe, the Eastern Europe has been supported with good nations as Lithuania, Georgia and Kazakhstan. To get you warmed up, check out videos from last years tournament!